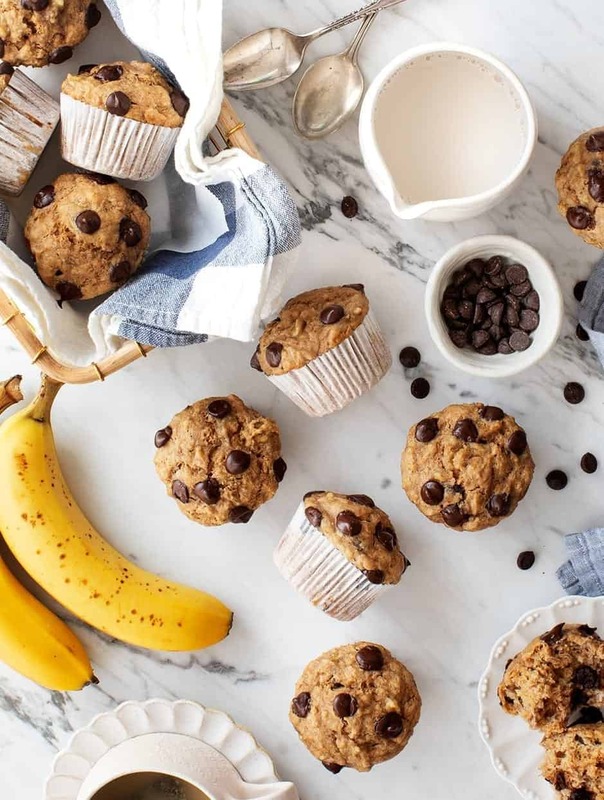 These banana muffins are a yummy, healthy snack! Studded with chocolate chips, these vegan muffins are naturally sweetened and full of flavor. Ground flaxseed – this makes the recipe vegan, eggs aren’t necessary! Whole-wheat pastry flour – or use half white/half wheat flour. 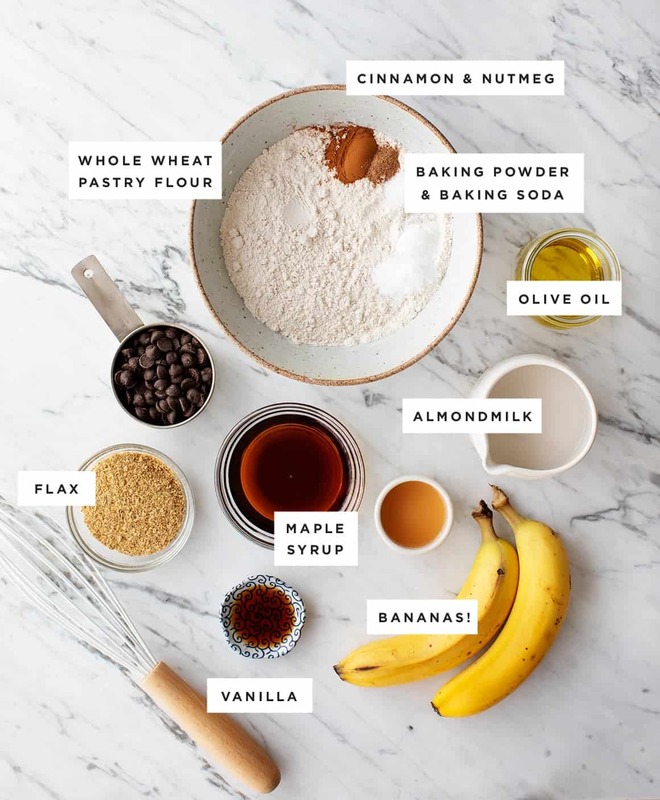 Cinnamon & nutmeg – the perfect spices for banana muffins. Baking powder, baking soda, and sea salt – baking staples. 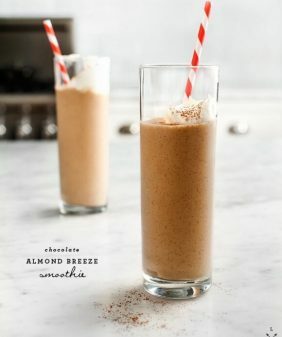 Almond milk – or any milk you like. Apple cider vinegar – this helps them rise! Maple syrup – because these muffins are naturally sweetened. Olive oil – it’s so healthy but any neutral oil will work. Chocolate chips – optional! Blueberries would also be delicious. 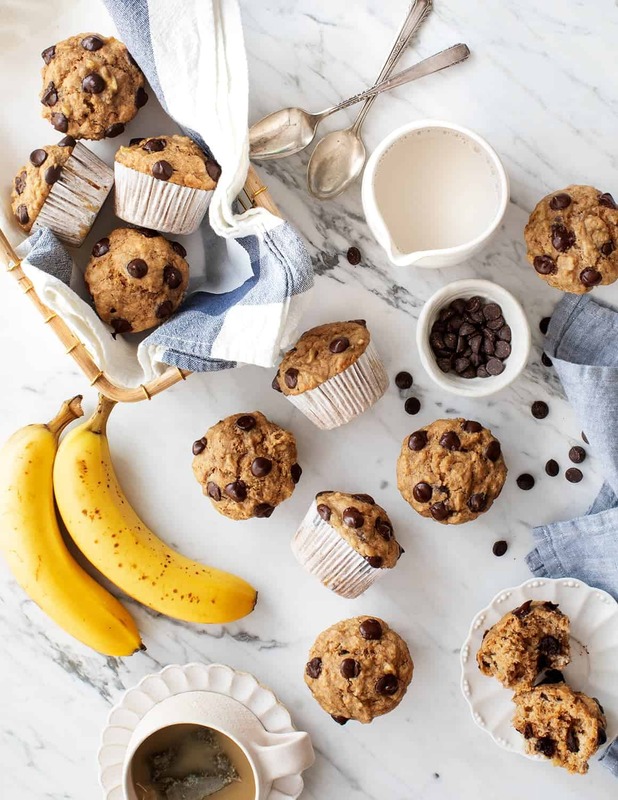 And if you have leftover ripe bananas after you make these banana chocolate chip muffins, try my favorite vegan banana pancakes or our Healthy Banana Bread! Wow, these look so yummy! I love that the chocolate chunks are still visible and not totally melted! 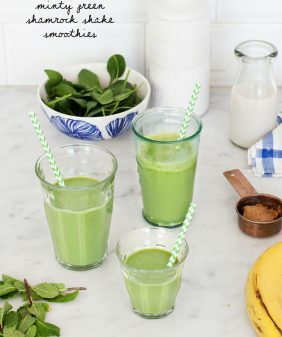 Have you tried this with almond flour by chance? 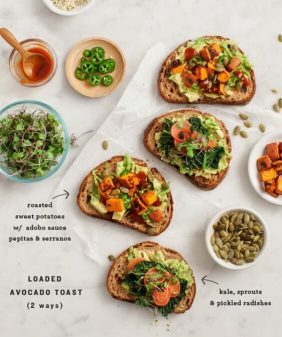 Hi Allie, I haven’t tried this recipe with only almond flour, but I usually have success with 1/2 almond flour and 1/2 regular flour. Could you sub in spelt flour? 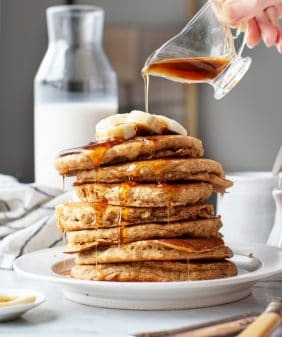 These look so delicious and I can’t wait to make them. Any suggestions of what I could subsitute for the oil? Would it still taste good if I leave it out? Thanks! Hi Cyn, I’m not sure, I don’t typically bake without some type of oil. I love banana chocolate chip muffins! 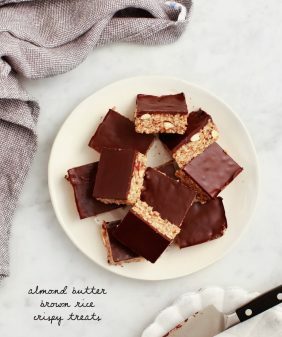 These look so delicious and chocolatey – perfect for brunch or as a sweet snack! Made these for the family, everyone loved them!! Well, aren’t these just the cutest muffins EVER! Used King Arthur gluten free baking mix and these came out delicious! Also silicone cupcake cups and no additional greasing was necessary. Hi Corrie, thanks for the tip about King Arthur’s GF mix! These are wonderful! I used a combination of flours: 1 cup regular and 3/4 buckwheat and it was delicious. I’ll have to try that combo – I’m always looking for ways to use buckwheat! I made these to share at church and they were a big hit! So SOFT and chewy with a wonderful texture. It was my first time baking with flax meal instead of eggs, and I was skeptical, but now I think I might try flax more often! Next time I will probably add some chopped toasted walnuts to get a little more of that banana bread flavor. This recipe is definitely going into my regular dessert/snack rotation – thank you! Hi Mary, I’m so glad they were a big hit! And yay for flax :). It doesn’t always replace eggs perfectly but I like to post about it when it does! Hi Beth, I’m so so glad you loved them!! 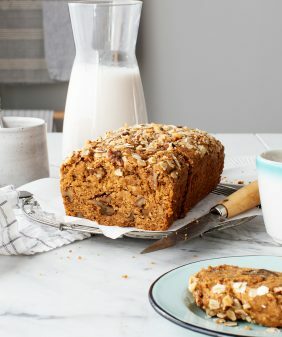 could i make this recipe into banana bread? like in a loaf pan? I think it would work – I’d just bake it longer, probably somewhere in between 40-50 minutes. Hope that helps! Hi! How many calories are in each muffin? Hi Mateo – wow, I’m so happy these have been a hit with the whole family! My favorite muffin recipe of all time (and that is including my non-vegan muffin recipes). The chocolate chips take it over the top. Hi Carol, I’m so happy you’re loving the recipe!! Thanks for coming back to let me know! These muffins turned out great!! I didn’t have nutmeg but it didn’t matter. I also added some coconut sugar because I still have a crazy sweet tooth, but they were still perfect and not over the top sweet! Thank you for the recipe!